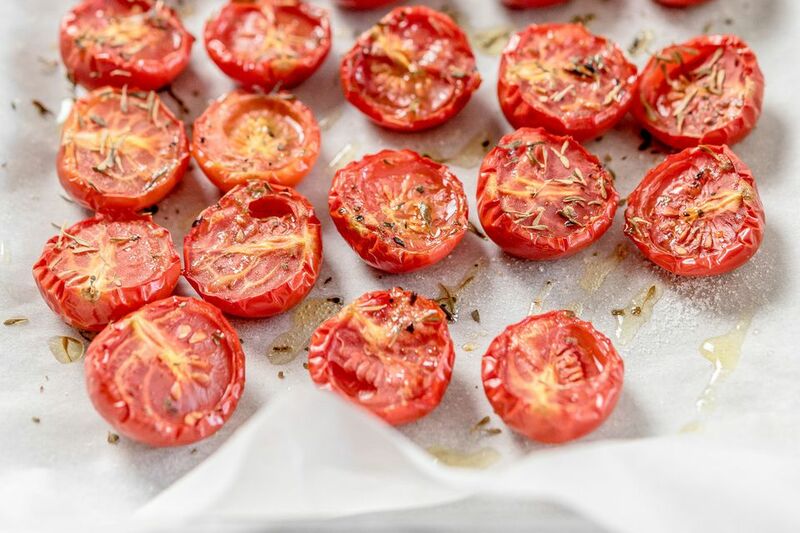 Sun-dried tomatoes are a great staple to give a quick flavor boost to recipes, but you will need to first reconstitute them. Place sun-dried tomatoes in heat-proof bowl. Completely cover with boiling water. Let sit for 30 minutes until soft and pliable. Reserve the soaking liquid to use in soups and sauces. Refrigerate and use leftovers within three days or cover with oil and refrigerate and use within two weeks. To reconstitute in oil, simply cover with a good-grade olive oil for 24 hours before using. Sun-dried tomato oil may be reserved to use in salad dressings and pasta.